On page 63 Outram talks about the “intractable paradoxes in the relationship between the existence of slavery and the Enlightenment.” Explain what she means, evaluating her statement in the context of her larger discussion. Slavery was essential to the globalization, “the increasingly integrated world economy,” of the Enlightenment (Outram 64). It was highly profitable, especially for colonial plantation production, and these profits “primed the economic pump, and provided higher tax revenues to the ever-expanding governments”(Outram 65). Slavery affected all aspects of world’s economies and people could not imagine the costs that would accrue if they were to abolish it. The institution of slavery was a highly profitable business and like any business, which other businesses depend on for survival, slavery was very difficult to get rid of. A contemporary equivalent might be the oil business. Many people agree that it is damaging to the environment and expensive for consumers, but many businesses depend on it for survival; thus, it is very difficult to get rid of (or transition it into green technologies). But as Enlightenment ideas grew in popularity, the movement faced an increasing and powerful paradox. Slavery was totally against any notions of the Enlightenment in that the Enlightenment was a movement that aimed to promote equality and universal rights. True equality could not exist within a country that supported or had slavery. Similarly, I predict we will at some point reach a saturation point in consuming oil and other environmentally hazardous things for energy. At some point, people will choose to pay more for more environmentally friendly solutions because other choices will just be considered irresponsible. Thus, there will be a need for companies that sell these products and the world will be better for it. Outram, D. The Enlightenment. 2nd ed. Cambridge, UK: Cambridge University. 2005. Print. Outram ends chapter 2 by posing a question of the identity of the “real elite” (page 27). She here implies that the whole notion of status is undergoing transformation in the Enlightenment. In view of the entire chapter, what do you take to be the terms of this transformation: transformation from what to what? The transformation that Outram is talking about is the diversification of ideas and the later commodification of intellect. Access to reading and writing made ideas more accessible, and they were no longer controlled only be a small group of elites. Writers were able to reach larger audiences, and have larger influences on the world. As social institutions broke down class barriers, it started the beginning of what we now know as globalization. However, the beginning of globalization is also the beginning of commodification of ideas. As culture became commoditized, and new social hierarchies were invented. “The rendering accessible of information and debates to a wide audience became big businesses and was carried out not only by the elite of Enlightenment thinkers, but by an army of professional writers whose names are now largely forgotten” (Outram 27). Big business replaced aristocracy, and today, in America, ideas are mainly influenced and controlled by the top (richest and smallest) class. Explain the connotations of the phrase “Republic of Letters” (page 18). Why did the reading and writing public imagine themselves as a “Republic”? Republic of Letters is the idea that writers are “knowledge and opinion shapers” that form a formidable power on par with organized governments (Outram 18). Individuals involved in the Republic of Letters are equals that value cosmopolitanism, and knowledge and its producers across political boundaries (Outram 18-19). The editor ofHistoroire de la Republique des Lettres en France stated that the Republic of Letters is “a certain realm which holds sway only over the mind” and “preserves a measure of independence” (Outram 18). This is “a realm of talent and of thought” and it exists “in the midst of all the governments that decide the fate of men” (Outram 18). In chapter 2, Outram explains that trade and exchange in ideas promoted “a new kind of equality” between consumers from different classes. What kind of “equality” does she mean? “The increasing volume of goods made and sold included many consumer items such as books, pamphlets, newspapers, pictures, all of which were media for the transmission of ideas and attitudes” and “the global exchange of ideas, like all market exchanges, broke down barriers between cultural systems, religious divides, gender differences and geographical areas” (Outram 13). In Britain, extensive literacy and a large middle-class made up wealthy professionals created many institutions which facilitated the discussion of ideas which eventually led to “a new kind of equality between consumers of culture” (Outram 13; Outram 22). 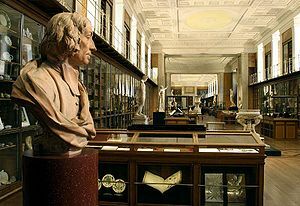 These institutions, such as the Manchester Library and the Philosophical Society, helped elites meet on common and neutral ground and forge stronger contracts with each other (Outram 22). In particular, since many different people shared a common interest in Enlightenment ideas, these societies provided spaces for people to meet, and facilitated a new interplay “between manufacturers, men of science and local intellectuals” (Outram 22). One example is the Birmingham-based group called the Lunar Society. 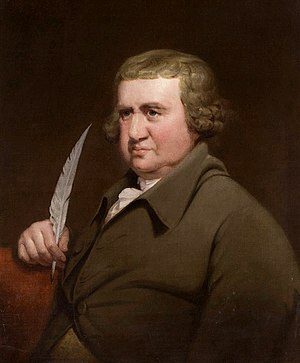 The Lunar Society included members like the industrialist Josiah Wedgwood, the poet and doctor Erasmus Darwin, grandfather of the Charles Darwin, and inventor Richard Arkwright (Outram 22). 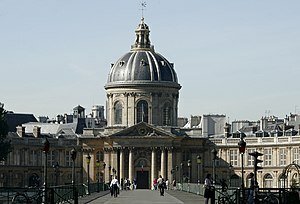 These places allowed for an exchange of ideas which facilitated intellectual equality. This kind of equality was based on knowledge and intellect which required work and effort to gain, not just finances. Therefore, it was not the kind of equality that could be bought. People had to read and work hard on themselves to be “enlightened” and as a result, societies were places where enlightened ideas could be exchanged with others who were intellectually inclined, despite their positions in society. How is Jurgen Habermas’s theorization of the Enlightenment a very different one from that of Horkheimer and Adorno? In what sense is Max Habermas (according to Outram’s description) a far more positive theorist of the Enlightenment than Horkheimer and Adorno? According to Outram, Jurgen Habermas adopted many of Max Horkheimer’s and Theodor Adorno’s insights about the way that “the Enlightenment consumed culture, turned culture into a commodity, and turned knowledge into information” (7). Given these views, Horkeimer and Adorno argued that it was the Enlightenment’s use of reason and rationality that enabled the stripping away of society’s humanity which facilitated the Holocaust, the systematic killing of millions people. 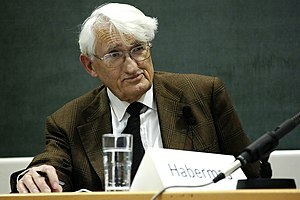 Unlike Horkeimer and Adorno, Habermas argued that many of the ideas of the Enlightenment were still worth pursuing because the Enlightenment “contained potential for emancipating individuals from restrictive particularism in order to be able to act, not as ‘Germans’ embattled by adherence to particular national or cultural ethos, but rather as human beings engaged in a common search with other human beings for universal values such as freedom, justice and objectivity” (7). Habermas was a far more positive theorist of the Enlightenment than Horkheimer and Adorno because he viewed the Enlightenment as the creator of the public realm. A public realm is the concept that a public opinion could come about and “start to question privileged traditional forces” (7). This space is similar to Kant’s notion of private realm, a place where men could escape from the role of subjects and gain autonomy by exchanging their own opinions and ideas (7).